Back to School season is not just for the kids – it’s for the entire family! It is a perfect time to get organized and back into a routine after a (hopefully) relaxing summer. 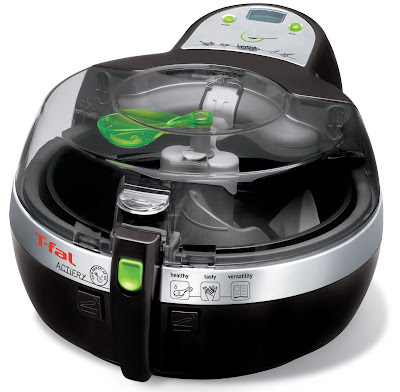 T-fal wants to help you get organized and simplify everyday tasks (such as cooking dinner!) with their awesome kitchen and cooking products! How can you cook all of your favorite meals using just one kitchen appliance? With the Nutritious & Delicious™ ActiFry® from T-fal, a revolutionary appliance developed to change the way you cook and eat, it is now possible to create delicious and healthier versions of everyday meals, all in one machine. VERSATILITY: Broad range of meals in one machine; cooks vegetables, meat, poultry, seafood, grains, desserts and fruits. It can achieve results similar to a roaster, stir fry pan, healthy fryer or speedy slow cooker. CONVENIENCE: – Automatically cooks a variety of dishes with a patented heat pulsing action that evenly cooks the food at a constant temperature of 338° F, while the paddle gently stirs the food. HEALTHY: Your favorite dishes are healthier due to little or no required oil. EASY: Simply place food in the pan, close the lid, set the timer, and turn it on with one simple button. The T-fal non-stick pan, stirring paddle, filter and lid are all easy to remove and are dishwasher safe for quick and easy clean up. SAFE: Closed cooking vessel provides safe splatter-free cooking. Awarded the Parent Tested- Parent Approved seal. ODORLESS: Emits no frying odors. I absolutely LOVE my ActiFry! My husband has always hounded me about getting a deep fryer for making fries, chicken and so much more! But I always hated the idea of how unhealthy it made food! 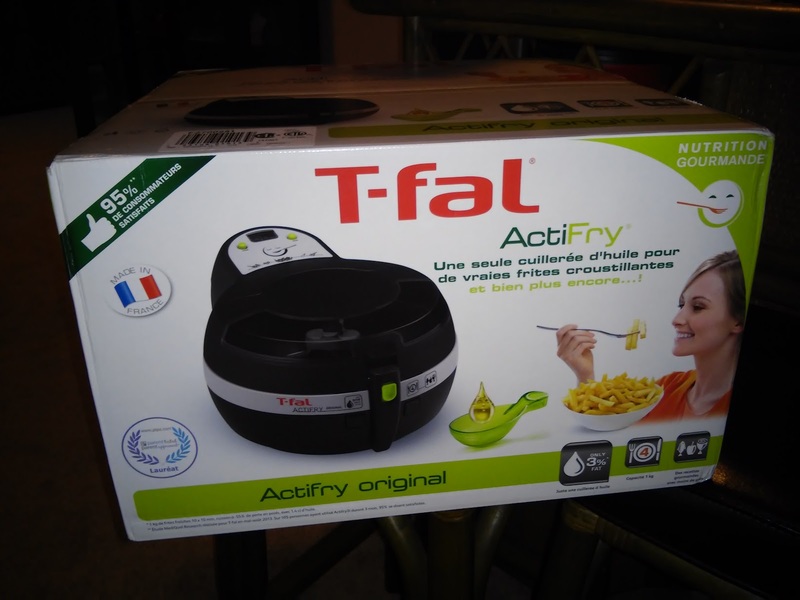 But with the ActiFry, I get all the benefits of deep frying plus so much more!! It is healthier, requires little or no oil and I love all the different varieties of food I can make with this!!! 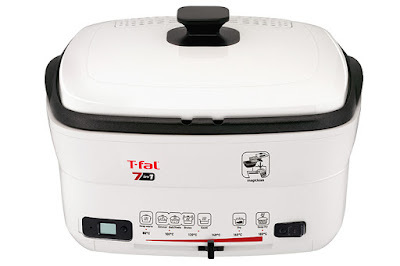 Another awesome product from T-fal is their NEW 7-in-1 Multi-Cooker & Fryer! The 7-in-1 Multi-Cooker & Fryer will be available for $99.99 on Amazon.com, August 2015. Additionally, T-fal is celebrating the Back to School Season with our social media family with a photo contest and will be giving away prizes throughout the duration of the campaign! T-fal wants to see how YOU plan to get organized for Back2School season! Participate in the 2nd Annual T-fal Back2School Photo Contest! SHARE a photo on Facebook, Twitter, or Instagram using the hashtag #TfalBack2School and show us how you getting ready for Back2School season this year – whether it is the room in your home that needs the most help getting organized, a before/after shot of the desk/home office you re-organized or a pic of your family’s favorite back-to-school lunches or dinners—we want to see it. One LUCKY Grand Prize Winner will win the ultimate Back2School Package valued at over $1000, and 5 runner up winners will win T-fal Packages valued at $500 each! T-fal is generously offering (1) NEW T-fal 7-in-1 Fryer and MultiCooker to a lucky winner! I am an email subscriber. Thanks! !